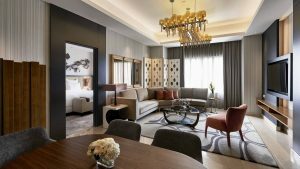 As a 5-star hotel in Thamrin CBD, Pullman Jakarta Indonesia offers chic, stylish and modern guest rooms accompanied with a fitness and spa center, event venues, executive lounge and fine dining options. 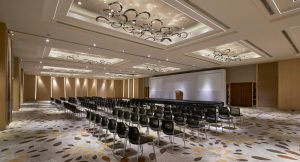 Designed by Wilson Associates, the hotel is conveniently located in the heart of the city, within walking distance to all major attractions, luxury malls, business districts and more. With easy access to Soekarno-Hatta International Airport Pullman Jakarta Indonesia is the ultimate address for your perfect urban exploration. Pullman Jakarta Indonesia provides a multitude of drinking and dining experiences on-site. Including two highly acclaimed restaurants, Sana Sini & Kahyangan, Jakarta’s only chocolate inspired lounge Le Chocolat, perfectly curated cocktails at The Back Room bar and its own fresh bakery Makaron. Pullman caters for all your adventures in Jakarta. Super helpful and accommodating staff, April! A true jem.